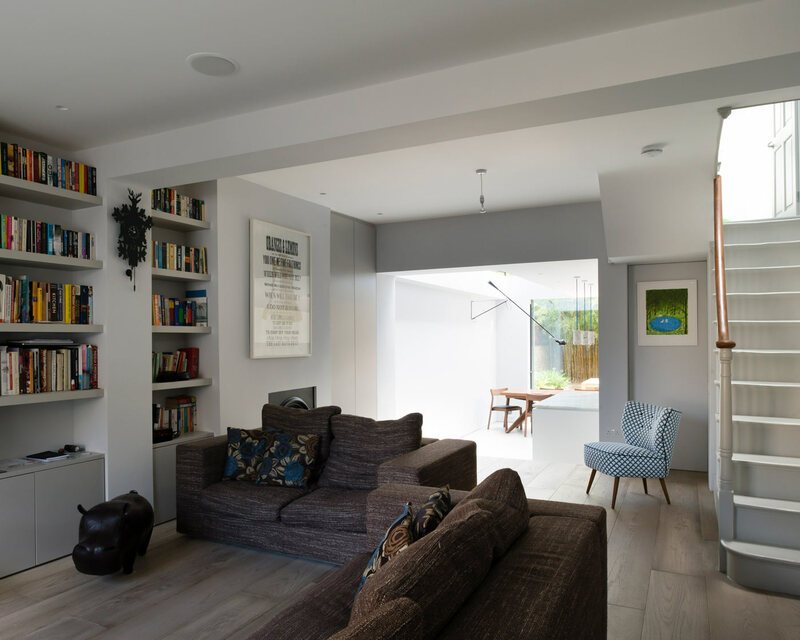 This article explores house extension ideas for London properties. The chosen approach will very much depend on your aspirations, your style and the design of the existing house. Many of the options are explored below, with illustrated examples from Architecture for London’s house extension projects. As a first step, it is a good idea to create your own mood board of house extension ideas using sites like Pinterest and Houzz. This can help to define your tastes and convey these to your architect. A note of caution though, don’t try to cram every idea that you like into your project. Often the best designed architectural spaces are simple in concept and their beauty comes from exploring one idea very well. 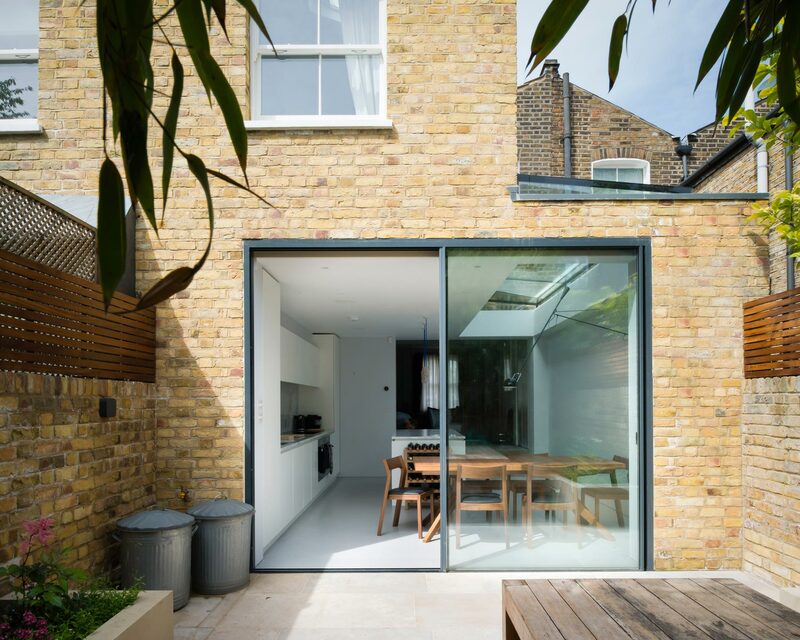 Modern house extensions usually feature large areas of uninterrupted glass. They often take a more minimal approach to decoration and detailing. They tend to rely on the beauty of craftsmanship and materials rather than using decoration in the traditional sense. The kitchen will often be clean-lined and may feature smooth surfaces and recessed handles to help free the space of visual clutter. Traditional house extensions typically feature glazed areas that are divided into smaller panes of glass, perhaps with crittal style windows or timber mullions. Decoration in the form of panelling, skirtings and architraves may complete the space internally. The kitchen may be detailed with recessed door panels and traditional handles in a ‘shaker’ style. This decision will depend on the tastes of the client and the architect’s approach. 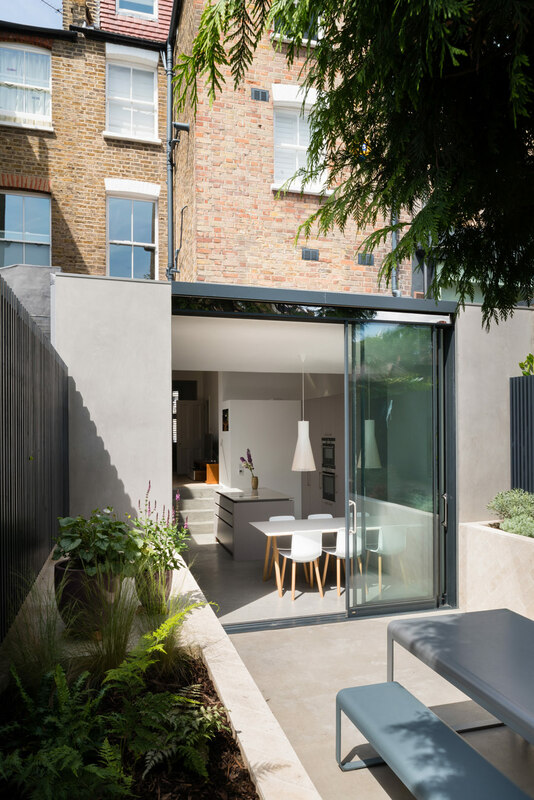 An extension may use external materials that are in-keeping and therefore relate to the house, yet still take a modern approach to design. 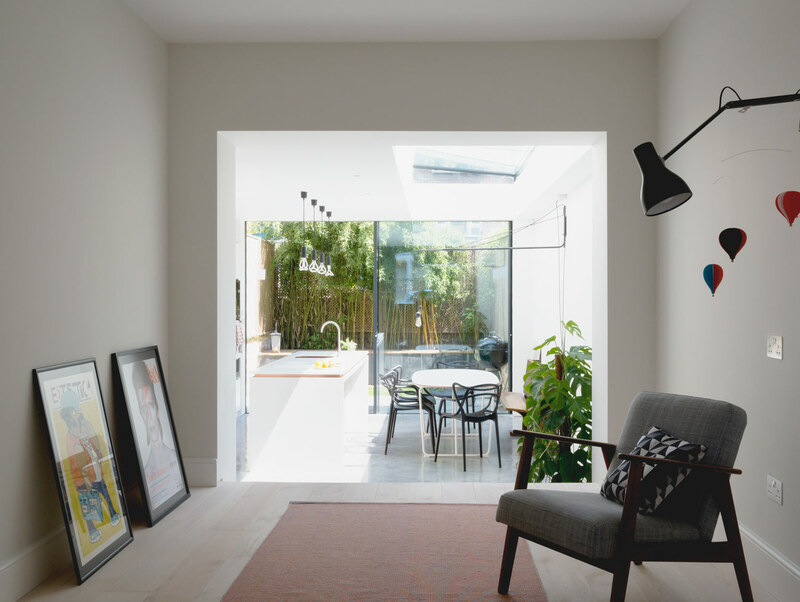 Whilst some local planning authorities prefer an extension to be in keeping with the existing building, planning policy now generally recommends that the house and the new extension are differentiated. In keeping: In London, this typically means choosing from a palette of brick, render, stucco, slate and painted timber. 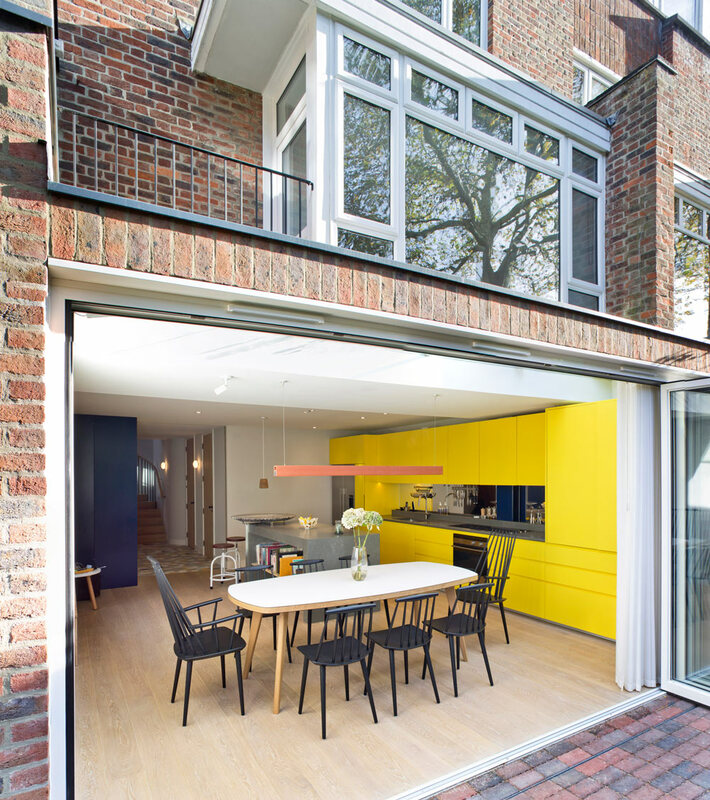 Contrasting: A contrasting design approach offers more opportunity for unusual materials for the exterior of extension. In London, contrasting materials are generally anything other than those listed above. This list is only limited by your imagination, for example, corten, concrete, thatch, rammed earth, zinc, copper or unpainted timber. Georgian houses in London are likely to be listed and are often part of a conservation area. This will affect the options available. Your architect will have an in-depth understanding of the local authority planning requirements for heritage properties and will be able to help you make the most of its potential. Georgian houses typically feature living spaces over the lower ground and raised ground floor. It is therefore key to decide the level at which the kitchen will be located. Whilst the lower ground floor usually offers a direct connection to the garden, the better ceiling heights and decorative features will be on the upper ground floor. Victorian houses often feature an original rear extension that would have housed service areas. These are typically not full width and one or more storeys less than the main house. 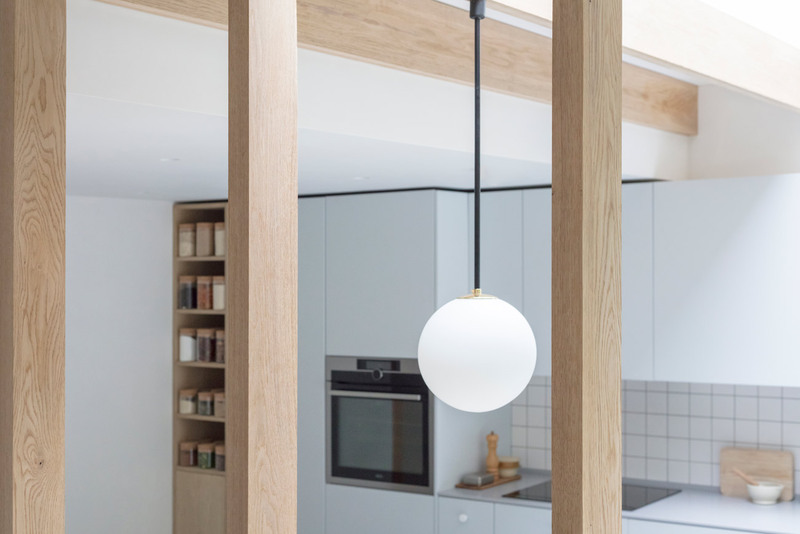 Victorian houses tend to have their main living spaces over the ground floor only, so the kitchen is typically proposed in a rear extension at this level to allow a direct connection to the garden. A side return extension is a way of extending the house to make better use of the often redundant side area. Glass is a very useful tool when extending your house. As well as ensuring the new rooms are filled with light, it can help you maintain or improve light levels in the existing building. It is important that the use of glass is carefully considered to avoid running into issues with overheating in summer and loss of heat in winter. Your architect or environmental consultant will be able to help you with this. Refurbishing your house also allows you to upgrade its environmental credentials. Adding insulation, double-glazing and using more efficient heating systems will all make your carbon footprint smaller. Sustainability improvements will also reduce the associated cost of running your house. 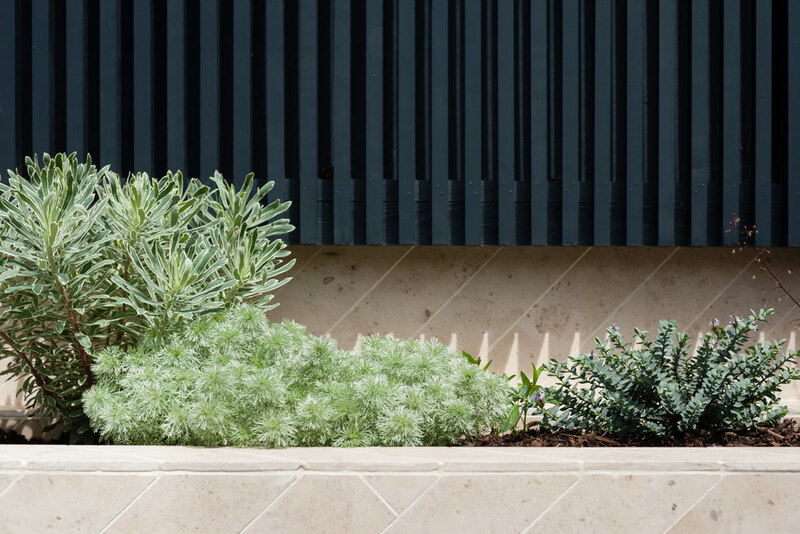 Your new house extension may offer improved views and access to the garden, so good landscape design is key to a successful project. 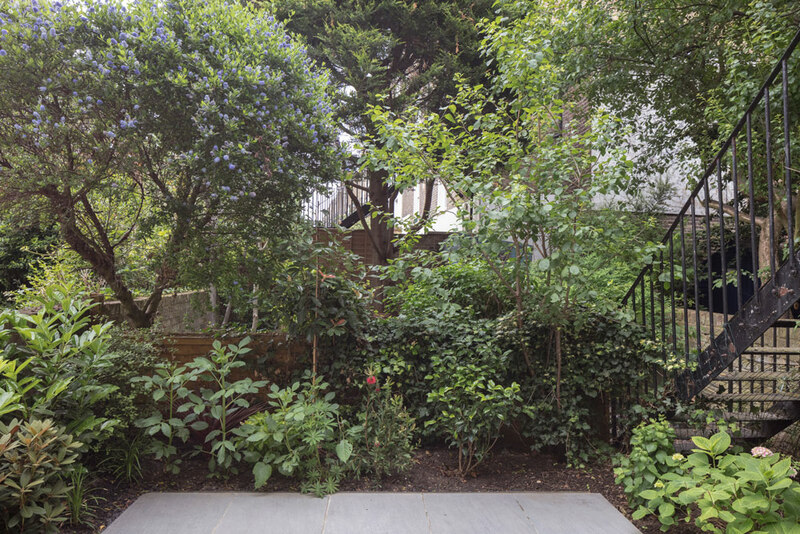 Architecture for London frequently designs garden landscapes to link with the new extensions, aiming to tie the two spaces together. This can be achieved with materials and levels continuing inside and out. 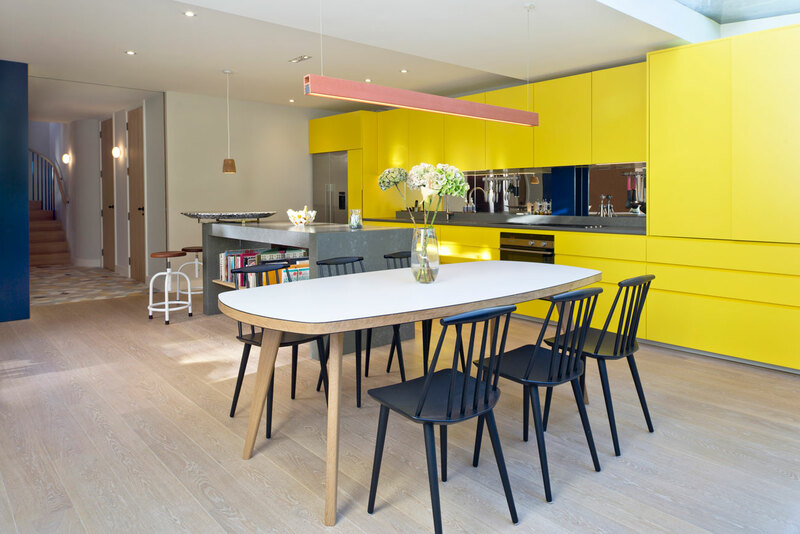 At Highbury, north London, outside storage cupboards were created that align with the kitchen cupboards inside for a seamless transition. These were clad in stone and a bespoke timber fence created to continue the clean minimal lines from the interior to the garden. There are many affordable house extension ideas. 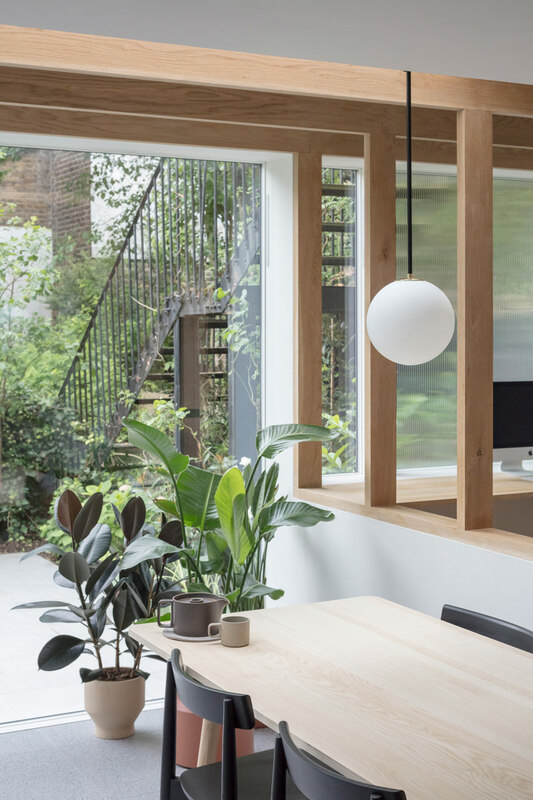 The simplest option might be to reconfigure the existing house, removing internal walls to create larger spaces and therefore possibly minimising the size of the extension required. If just reconfiguring your property isn’t going to be enough, it’s worth considering whether you can achieve your goals while keeping within the permitted development rights of your property. You will not only save money on planning fees but could also save 6 weeks on your programme and associated consultants’ fees. Keeping the overall form of the building simple, with a rectangular footprint and simple pitched roof can sometimes help to reduce costs. Materials: can cost-effective materials be used in an innovative way? Avoid rogue builders: you can get advice from friends, neighbours and your consultant team for reliable, good value contractors. Keep your neighbours on side by updating them on the project progress and allaying their concerns as soon as possible. You may also be able to save money on Party Wall Awards if your neighbour is willing to consent to your extension. An architect and cost consultant will help to manage the budget. Architecture for London has delivered projects across a wide spectrum of costs, from £1,100/sqm to £4,000/sqm. 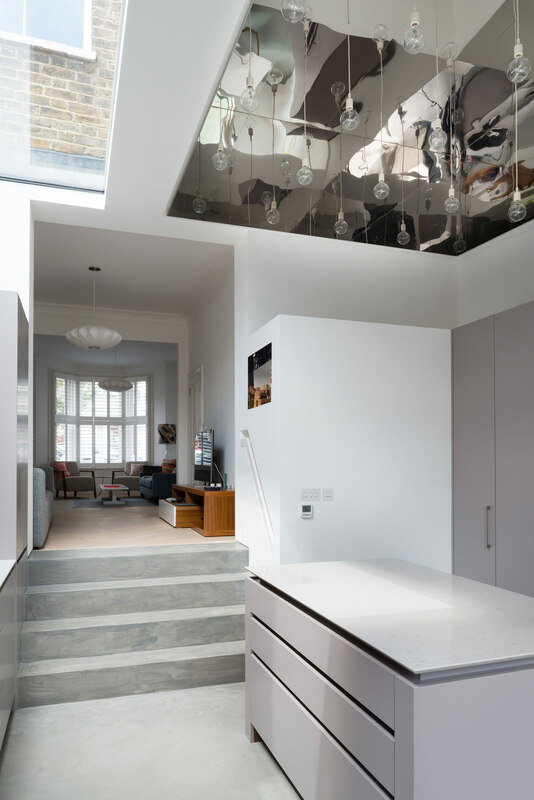 Please visit the Architecture for London projects page to see more London house extension ideas, or contact us to discuss your project.